Seasonal marketing can be hard to get your head around – so we’ve come up with this handy guide to help you get the most out of your marketing and stand out amongst the crowd. Have fun with fresh colour palettes that’ll catch the eye and make it clear what you are offering. Yellows, greens and pastel colours evoke a sense of fun, and stay in keeping with the time of year. you could even add some fun illustrations to your company logo, such as a pair of bunny ears or a chick hatching from an egg – play around and have fun! Customers will love your sense of personality in your branding. Easter dates may change each year but there’s one guarantee: it’ll come around next year again! Keep this in mind and think about how you can reuse your printed marketing materials next year. Whether you want some seasonal business cards, or run an annual promotion, if you do the same thing each year it’s worth planning ahead. Buying larger print runs is far more economical than ordering a new batch every year, so consider whether there’s anything in your marketing plans that can be easily repeated next year. Consider putting together fun Easter promotional packs to really get into the spirit of springtime. Whether you’re giving away chocolate eggs with each purchase, or have a special Easter promotion in your store, stickers are the way to go. Brand items with small stickers to make sure people remember where they got their free Easter egg, or use stickers to seal your carrier bags for a nice seasonal touch that’ll show your customers that the little things are just as important to you as the big ones. Easter brings with it school holidays! It’s the perfect time to run workshops and events that’ll increase footfall to your business. You could run messy craft workshops for parents to bring their children to, or provide a mum and dad only haven for an hour with free massages while the kids are supervised in a creche. Whatever event you want to run, make sure people hear about it! Vinyl banners are a great way to promote a great way to promote an event in a way that’ll be seen from afar by plenty of passers-by. They’re also weatherproof, which is handy for the Easter time of year. Flyers are the most versatile promotional tool around! They’re inexpensive, easy to create, and can be used in a variety of ways. You can use the same flyers design for different promotional activities too. 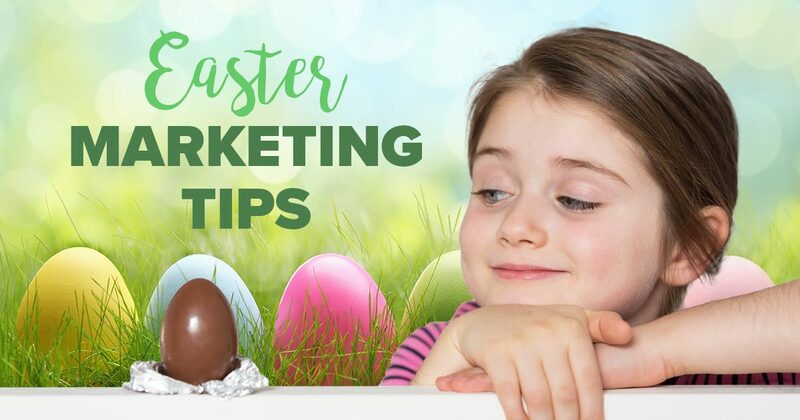 For example, if you’re running a special offer for Easter you could hand out flyers on the street, pop them up on local noticeboards, or arrange them to be distributed with your local paper or magazine.